← Season of Yule 2011 Begins……. Merry Evening my friends. 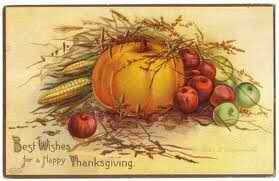 After a busy day of errand running, house readying, cooking and baking, I’m stopping by to post my wishes to you all for a Happy Thanksgiving Day! I know how busy those of you who are hosting the day are …. 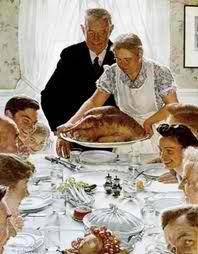 and how ready Everyone is to enjoy the day with their family and friends, good food and good cheer! and of course Football! 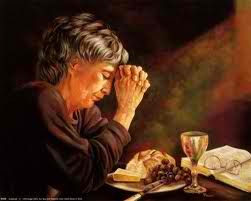 🙂 No matter how simple or fancy your meal, whether you are two or twenty-two at your table…don’t forget to give thanks to the Universe…whatever you call the Divine….for the blessings in your life. It will make your day even better. For me, I thank the Goddess for the Blessings in my life and Mother Earth for her bounty that will be on my table this year. In these economic times, many of us are struggling more, may have lost jobs etc. There may have been a loss in your family or you feel alone or ARE alone. I know sometimes it is very hard to find anything to be thankful for. But even if things aren’t as you wish them to be…there are things you can find, I’m sure! Most of the time being grateful is the last thing on our list of what’s on our mind…but try, for this day at least, to think about it. Your soul will be soothed when you do. If you are blessed like I am to have a wonderful family, loving friends, a roof over your head, food to eat, and maybe a furbaby or two who loves you uncondtionally..then you are wealthy in all the ways that are important! I am most grateful to my family, my friends and my facebook family…I love you all! 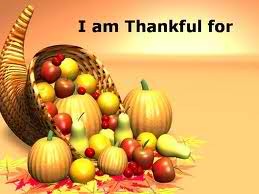 I’m going to leave you with a few quotes that are amongst my favorites, for both Thanksgiving and thankfulness. I use them as reminders to myself to be grateful…to find something everyday to be grateful for..no matter how bad the day may be going. I hope, however, your Thanksgiving is a marvelously happy day, that it is fun and drama- free and that you have to unbutton your pants because you are so full of great food! “Small cheer and great welcome makes a merry feast”. This is so Beautiful Autumn!! I am so greatful for my witchy sisters and brothers who have seen fit to include me in their circle of life and to my most wonderful husband who loves me uncondtionally!! I also love my other facebook family too! No matter how bad off we think we are we still have a lot to be thankful for. Whenever I’ve been in the position of almost self pity I remember that there are others out there that have it far worse than I do. I am thankful to the Goddess for my wonderful son, for the joy of being a grandma, other family members and friends who are loving and supportive… and let’s not forget being thankful at this time when so many are out of work….. for having a job that I can complain about ;). I send along a quote I found for thanksgiving…not inspirational as yours are but it might make you smile anyway. 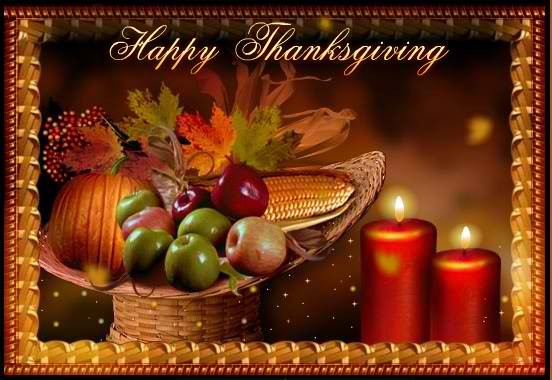 Have a blessed Thanksgiving and thank you for the time you spend writing for us to enjoy. Chefette..I loved your poem ..it gave me a chuckle! Hey, do you have a blog? let me know so I can check it out. If you don’t, you should! You write so well 🙂 Thank you! Thank you Moondancer for always coming to comment..much love! Hope you had a Happy Thanksgiving too Ashling…Thank you! happy thanksgiving to you deer one….i am grateful for your friendship!! !